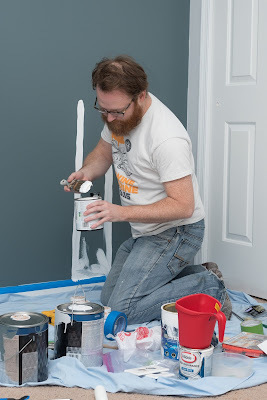 Last weekend was pretty awesome. 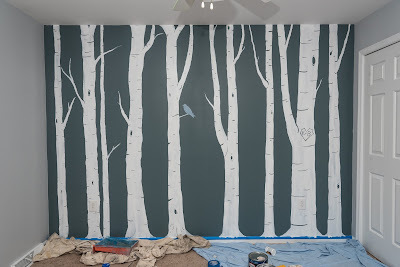 I met my brother at my sister's place in southeast PA and we spent the day painting a mural in the nursery of our soon-to-be niece or nephew. 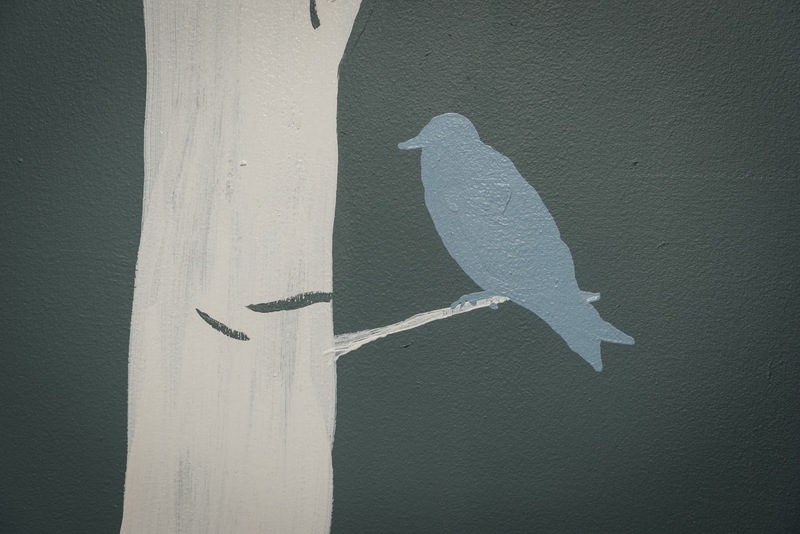 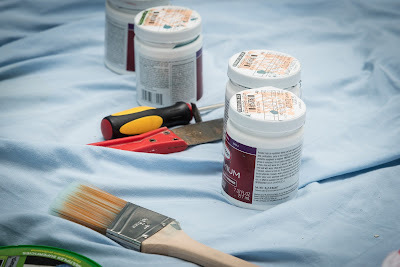 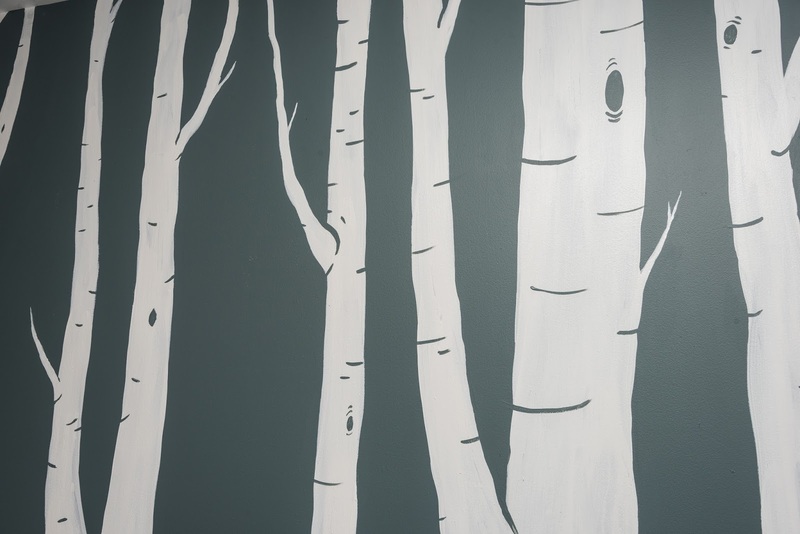 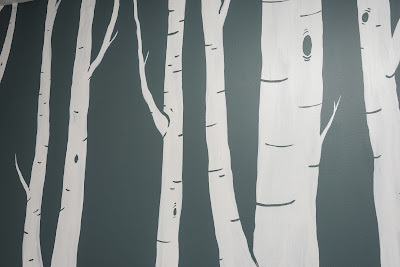 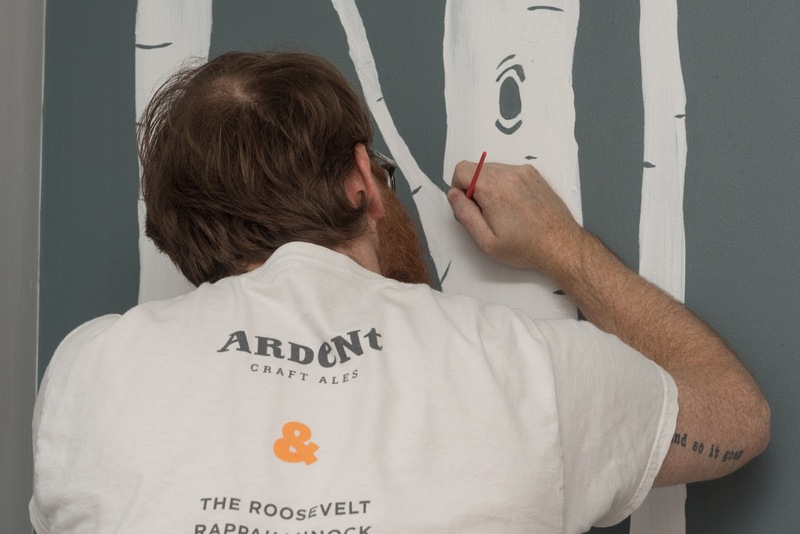 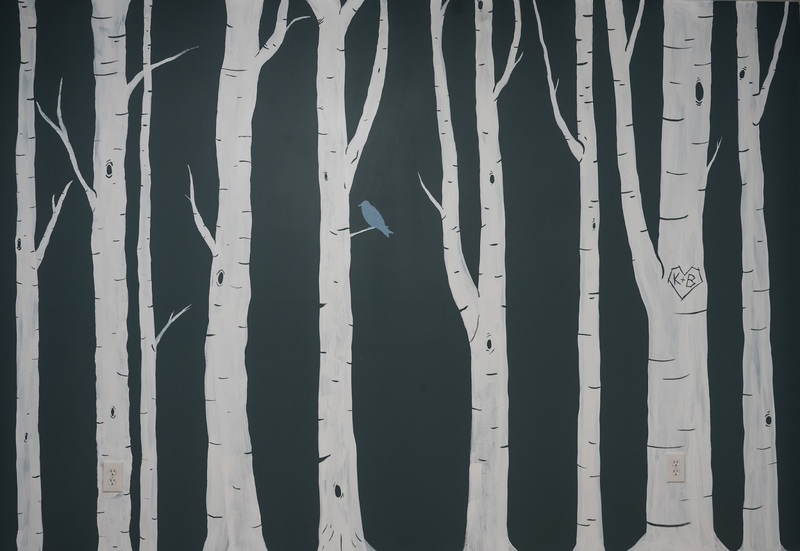 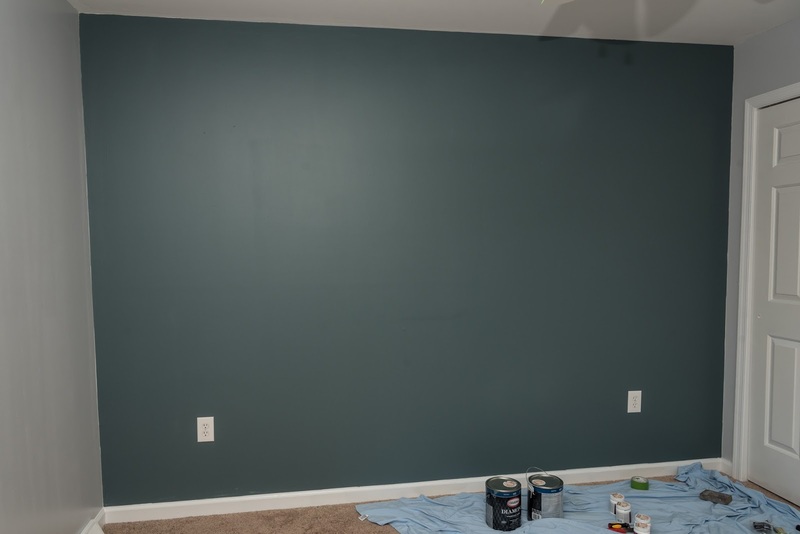 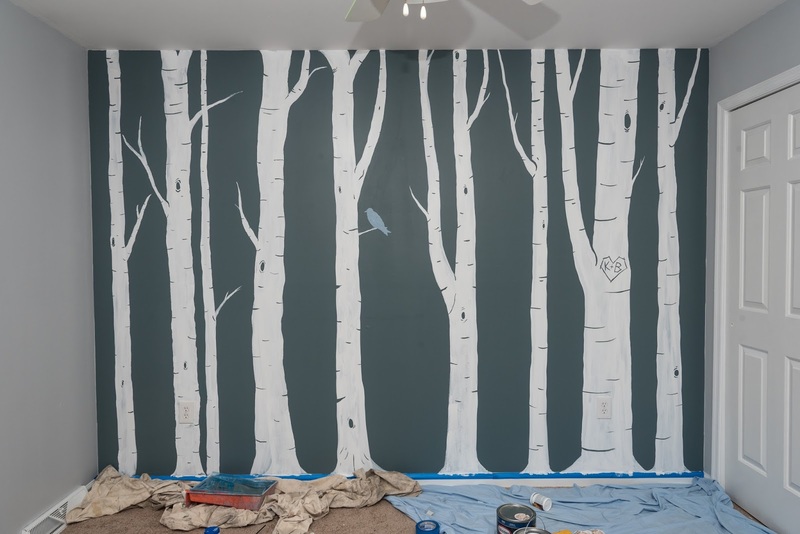 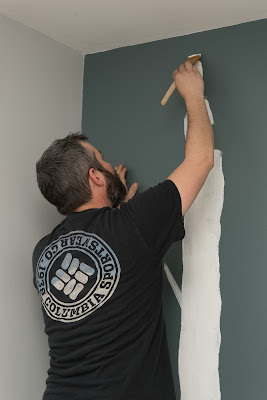 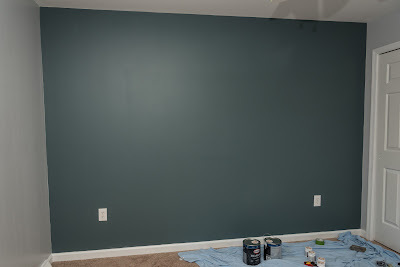 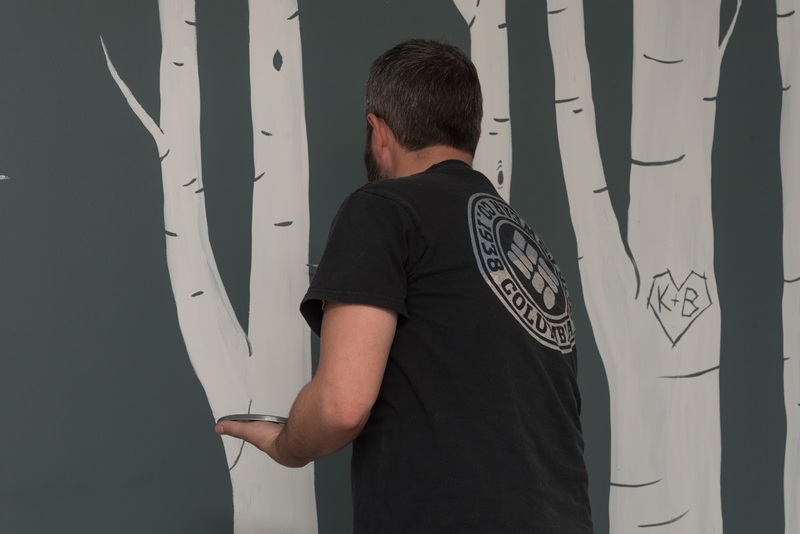 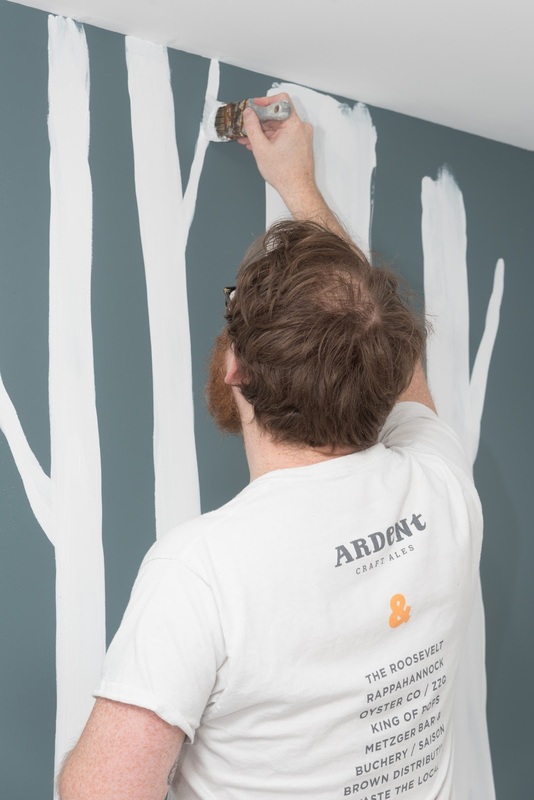 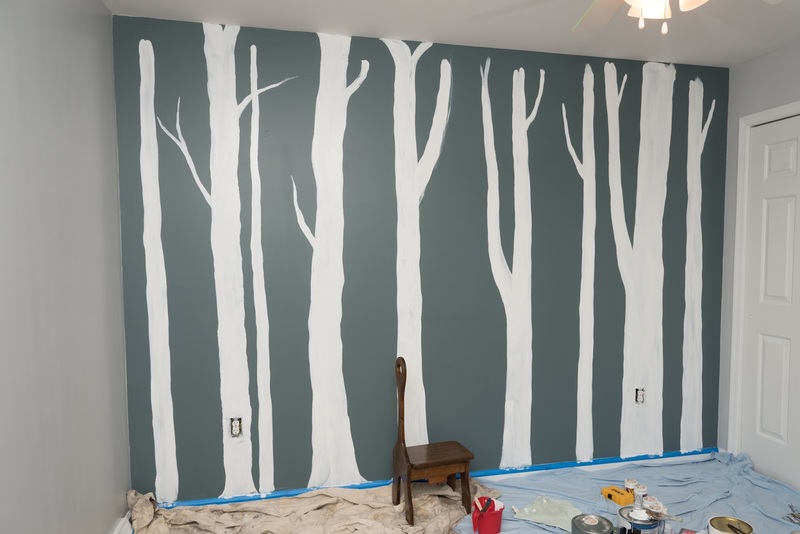 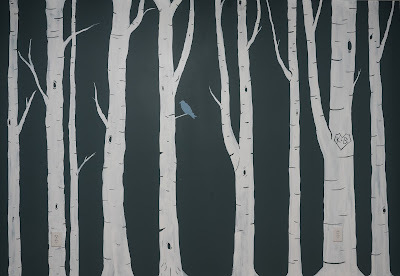 On a dark greenish grey accent wall, we painted a forest of birch trees for this woodland-themed nursery with the help of our brother-in-law. 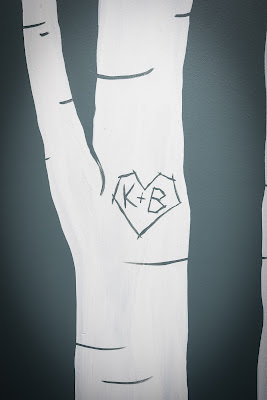 It actually didn't take as long as we thought. Instead of a second coat of white, we decided it had a pretty cool looking texture so we left it at that and added a little "carved" heart with mom and dad's initials and a little purple martin silhouette (a reference to one of father-to-be's jobs as a biologist with the PMA.) 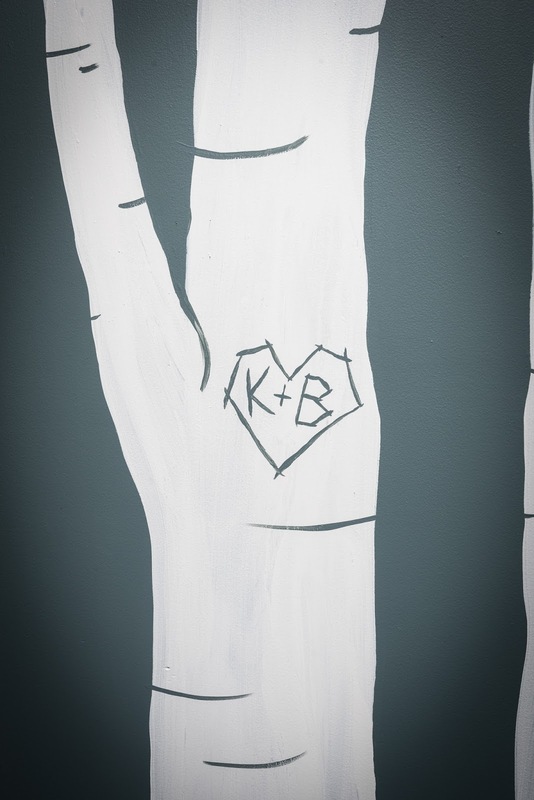 It was a great siblings weekend and a wonderful chance to put our artistic skills to work to celebrate the newest member of the family! 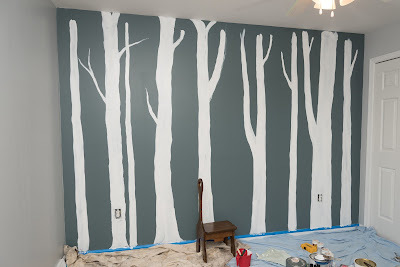 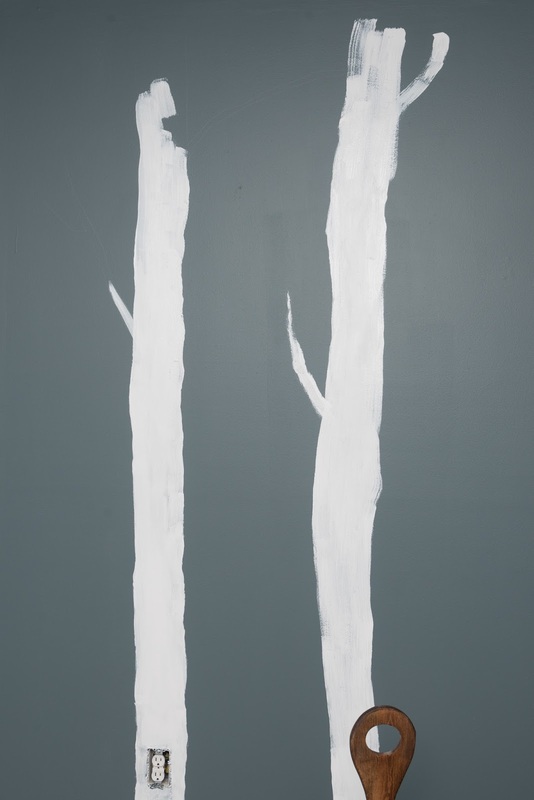 Step 1: painting basic tree shapes.